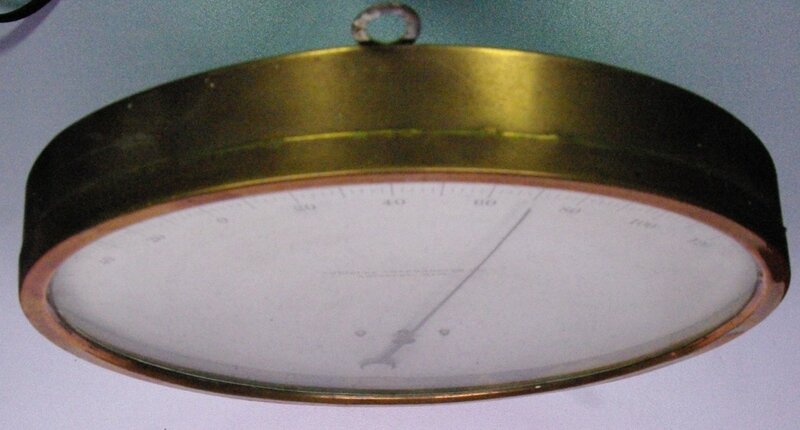 This thermometer was made by the Amesbury Thermometer Company of Amesbury, Massachusetts. 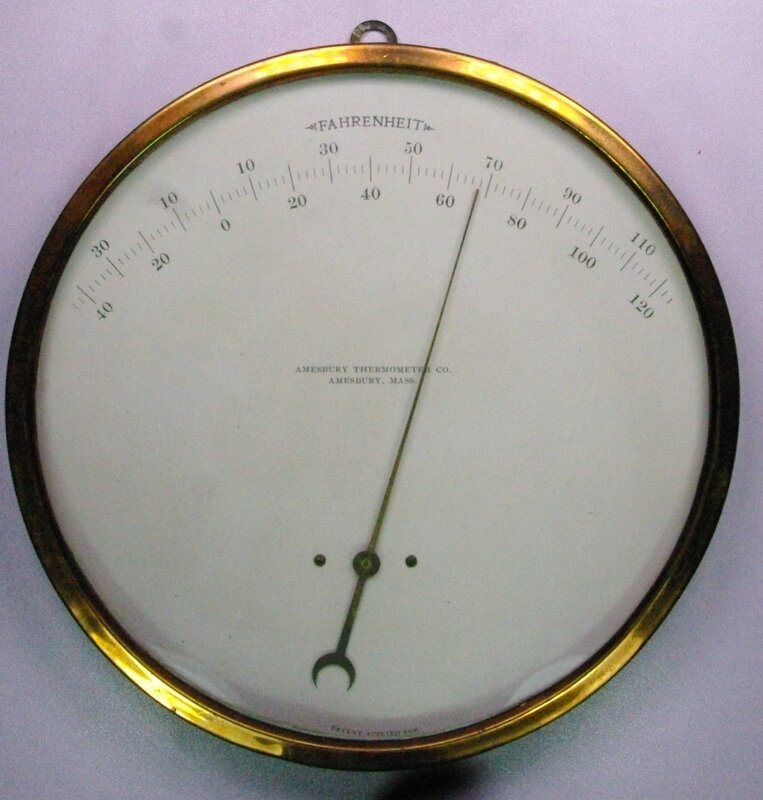 I don't know anything about them, but I've seen thermometers with this dial face design with 'Standard Thermometer Company' embossed on the case, so I suspect there is some connection between the two companies. Standard was in Peabody, Massachusetts. It has about an 8.5 inch dial face.